Trust our years of experience, our technical knowledge and the excellent customer service we offer every day to every client, big or small! Let us design the best product/service combination for your needs. When you buy from us, you are getting the latest technology products to fit your business operations and objectives, the most qualified backbone of printing support in the industry, and the most cost-effective solution for your needs. All these with the unparalleled speed and quality offered by PageWide and LaserJet Technologies. 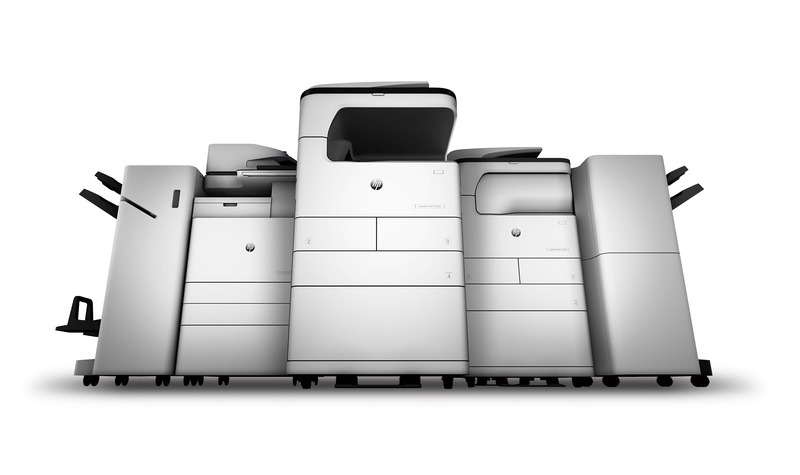 The full HP A3 MFP portfolio is available with a wide range of options that offer the reliability, functionality, and security required for modern professional printing.The HP PageWide Enterprise and Pro platforms offer significant cost savings for colour printing, combined with the highest speeds and lowest power consumption in their class. MFPs and HP LaserJet Managed printers were created specifically to meet the basic business printing needs – both present and future. As the only Platinum Partner of HP in Cyprus, Laserchage specializes in printing and imaging, offering you the opportunity to view and acquire the entire range of new printers HP A3, but also the ability to select a complete Print Management Service solution (MPS) for an optimal productivity and savings experience, with the most advanced professional HP printers. With more than two decades of experience specializing in solutions in the field of office printing, Lasercharge possesses the know-how and the necessary infrastructure to offer solutions to organizations regardless of size and complexity. Proof of the above are the more than 5500 machines maintained by the company through MPS contracts as well as the esteemed clientele including financial institutions, government, semi-government organizations and many other medium and large businesses. Furthermore, through the consumables replenishment system, Lasercharge recycles more than 97% of the consumables used through the MPS contracts. As a result, Lasercharge relieves its customers of printing management costs and recycling processes while reducing the environmental impact.